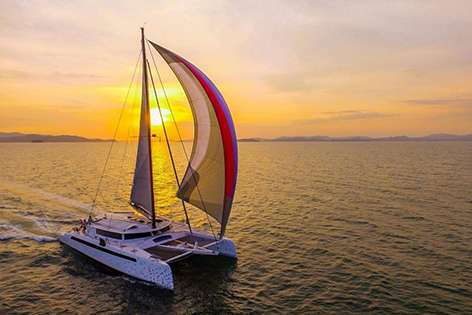 SURPRISE is a 19.80m (65') luxury catamaran yacht built by the ALIBI shipyard and launched in 2012. She was refitted in 2018 and offers accommodation for up to six charter guests in three cabins. The interiors were designed by Loic Goepfert and she is serviced by a crew of three. The interior design of SURPRISE is fresh, with an open feel to it and an inviting ambience. 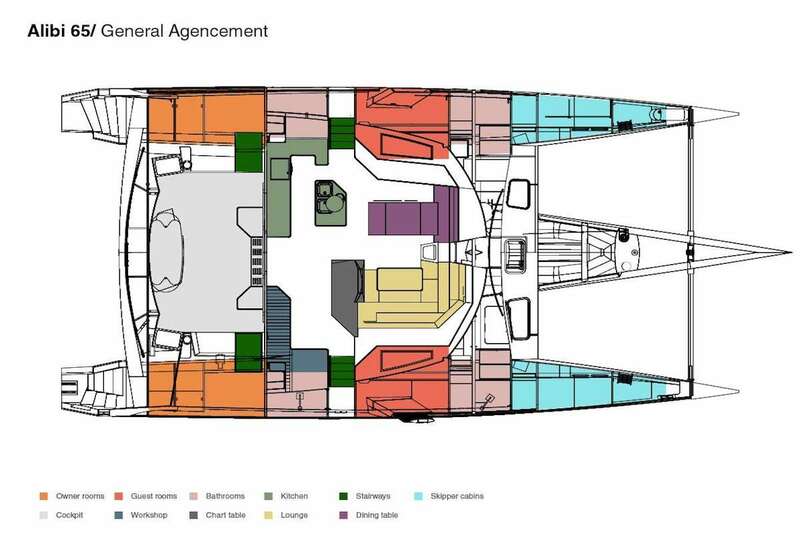 She has a great layout with contemporary decor and the main saloon with fantastic panoramic views. There are a seating and dining area comfortably accommodating all guests while the large open galley allows guests to converse with the chef while preparing delicious meals. Another great dining area is found on the spacious aft deck. There are also numerous sun bathing areas on board. SURPRISE has a fresh interior design, looking more open than most cats. Her modern decor complements the clever layout. The main salon has panoramic views, to enjoy from the comfortable lounge area. Central to the salon is the large galley which allows guests to view and interact with the Chef. Dining can be inside in the salon or on the wide, fully-covered aft deck. SURPRISE accommodates 6 guests in three en-suite double cabins and she is fully air-conditioned throughout.